Water races were channels cut across a hillside bringing water from streams to places where gold was mined. This one is on the Old Woman Range in Central Otago. 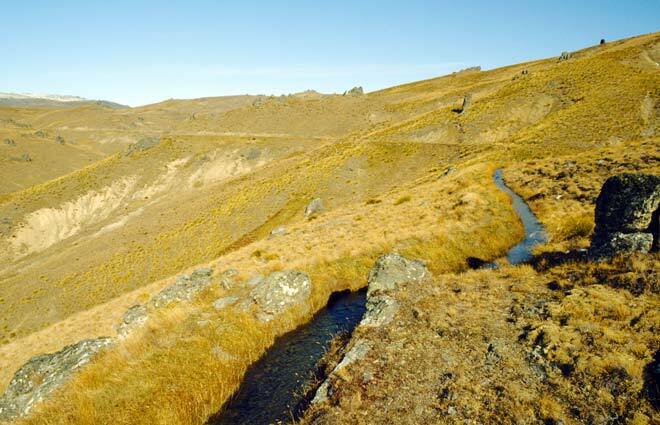 Central Otago’s open tussock lands lacked trees, which was problematic for miners – in many places there was little wood for cooking, heating and building.